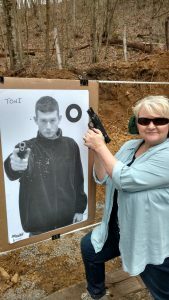 Handgun owners or people who work in the security business who are looking to advance their shooting skills, hone fundamentals, work though defensive pistol tactics and be challenged with realistic training. This course is for handgun owners who want to learn proper/safe techniques of how to efficiently utilize their handgun in defensive situations in order to protect yourself, loved ones or co-workers. The instruction and practical exercises on the range will provide the student a solid skill set in defensive pistol manipulations, tactics, shooting fundamentals, and a variety of additional skills that will improve your handgun handling abilities. More experienced students will refine their current skill set in order to progress as better shooters. Participants should be prepared to train in all weather conditions. This program can be challenging and participants should come to class with an open mind and a good attitude. With our personal approach to training, low student to instructor ratio, your skills will improve! Student should be physically able to get up and down from standing, kneeling positions.